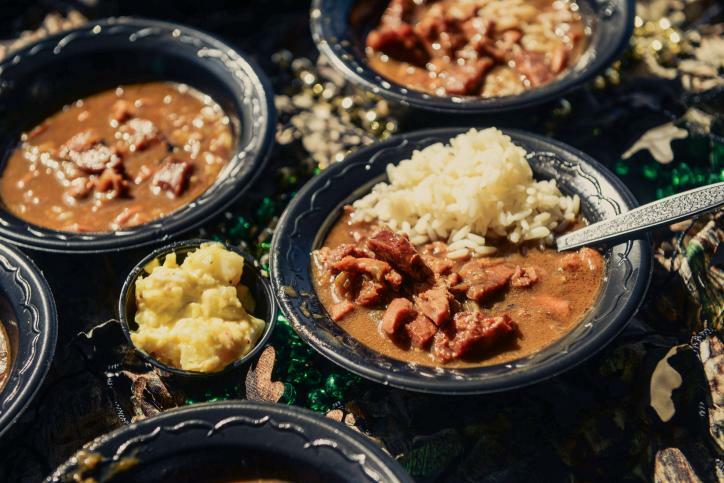 Thanks to the popularity of Cajun cuisine, Louisiana cooking has become world famous. And as a big fan myself, I thought I knew most of what there is to know about the food. Until I went to Southwest Louisiana for Mardi Gras and attended the annual World Famous Cajun Extravaganza and Gumbo Cook-Off in Lake Charles, that is. 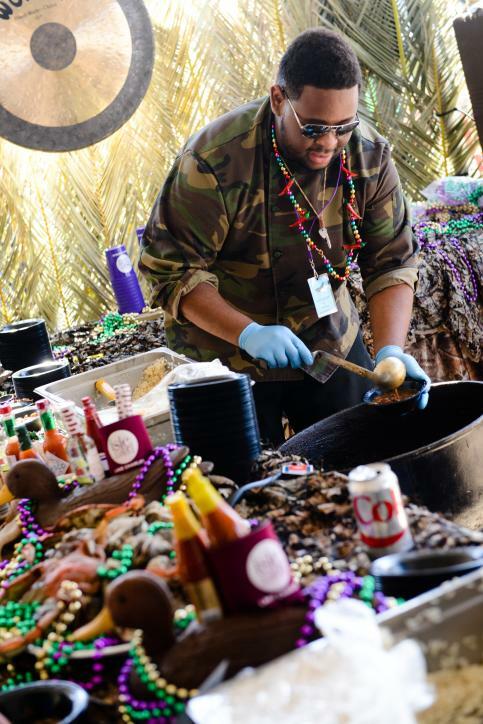 This is nothing like any other BBQ or chili cook-off you may have ever attended. More than 50 krewes and other competing teams filled a hall of the Lake Charles Civic Center, spilling over outside adjacent to the lakefront promenade. The noise level is astounding: krewes are also competing to win the “spirit stick,” by engaging in raucous revelry. As the smells of simmering roux start to activate the salivary glands, you begin to wish the tasting would commence. But the teams have been admonished not to serve until the judges have collected their samples. Finally, lines begin to form; and one by one, krewes begin ladling out their savory offerings. These are no measly samples: styrofoam bowls are filled to the brim with the steaming samples. I did my best to try them all, but after 20 or so half-bowls, I had to call it quits. But I managed to taste a bit from each category: traditional chicken and andouille sausage; seafood; and wild game. Some of the latter were quite exotic -- like pheasant and elk sausage. Alligator featured prominently, along with rabbit, and even the occasional squirrel. For the aspiring chefs who want to make their own gumbo, check out this "How to Make a Gumbo" video by Chef Scott Landry.